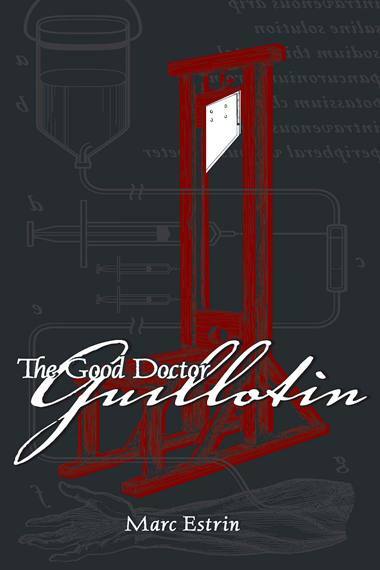 Dr. Guillotin, of course, a physician and member of the National Assembly, involved in many important events, including the Tennis Court Oath. Nicolas Pelletier, the first victim—or “patient,” as they were sometimes called, since the new beheading machine was seen as a humanitarian medical intervention in the state’s technique of dealing death. Father Pierre, the curé who accompanies Pelletier in his last days, a man torn between his religious commitment, and an equally strong commitment to the poor and their revolution. Sanson, the famous executioner of Paris who, 9 months later would execute the king and retire from remorse. Tobias Schmidt, builder of the new machine, a German piano maker working in Paris, a freethinker predicting the Terror that will follow, but allowing himself to initiate it. The revolution, after all, had reduced the sale of pianos. Damiens, Mozart, Mesmer, Louis XVI, the Marquis de Sade, Marat, Robespierre, Demoulins among them. The eighteenth century narrative is divided into several sections, each introduced by an essay in the author’s voice, the first on five-ness and Pentagons; a second on hope and Utopia; a third on revolutionary violence; and a fourth on capital punishment. This is no “historical novel.” It is, rather, a fictive meditation on a contemporary conundrum using an eighteenth century drum. The Palais-Royal stands on the right bank, just north of the Louvre, with a huge garden space behind it. Cardinal Richelieu had lived there, Moliere played and died there, and later, the palace was given to the king’s cousin, the Duc d’Orléans. In 1780 the Duc gave it to his son, who, over the next few years, opened the gardens to the public and encouraged the most spectacular mix of pleasure and politics in all of Europe. The Palais, belonging to the nobility, was a privileged area that the police could not enter except by invitation. Without police, what could not go on in its arcades and above and below them? It became an enchanted place, a small luxurious city enclosed in a large one, lined with cafés filled with speechifiers, the gardens filled with swarming crowds, prostitutes low-class and high, pamphleteers and pickpockets, a daily carnival of every appetite, the cultural and political antipode—even nemesis—of the stately court at Versailles. There were singers and chess players, wig-makers and magic lantern shows, billiard parlors and lemonade stands, and the miniature cannon, astronomically situated so that at exactly noon, sunrays would fall upon a lens to light a fuse, to make a boom. As someone remarked, at the Palais, you might lose track of your morality, but at least you could set your watch.